With WordPress 4.9.8, you saw the prompt to “Try Gutenberg” on your live site. 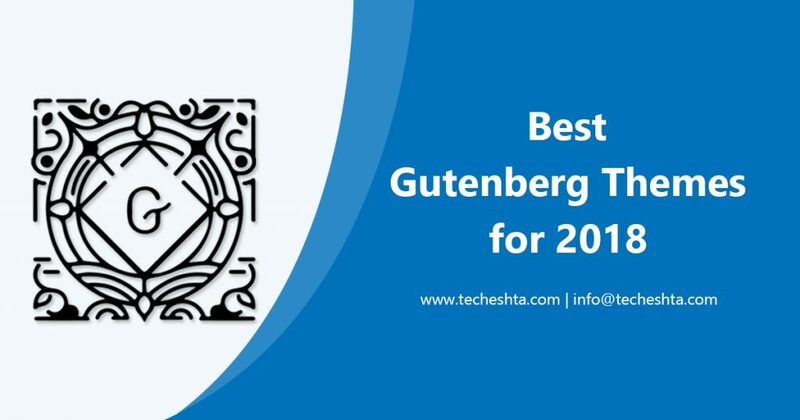 You may have a question in mind – What is Gutenberg? What will be a Best Gutenberg Themes if you want to start? The new WordPress block editor, currently named to as Gutenberg, is a new way to build with WordPress. The current WordPress visual Editor hasn’t had many changes over the years and for the most part, has stayed pretty much the same. While this isn’t a bad thing, many think it is time for a change. Other platforms such as Medium or Ghost provide a really unique and refreshing experience for writers, and one of the most competitive of WordPress, Wix is providing Drag & Drop or element selection feature to create web pages smoothly. So why can’t WordPress? Instead of relying on page building plugins, shortcodes, and the like, WordPress is bringing block-based editing to the core editor. The Gutenberg editor uses blocks to create all types of content, replacing a half-dozen inconsistent ways of customizing WordPress, bringing it in line with modern coding standards, and aligning with open web initiatives. As of writing this, the Gutenberg plugin currently has a little over 300,000 active installs with over 1,480,000 total downloads and a 2.5 out of 5-star rating. It also requires WordPress version 4.8 to use it. Most people are ready to switch to new trends, but we suggest that try it with your localhost or new upcoming site. Are you thinking for the same to create your next project or new website with Gutenberg? Then you should collect some information about Gutenberg compatible themes and plugins. 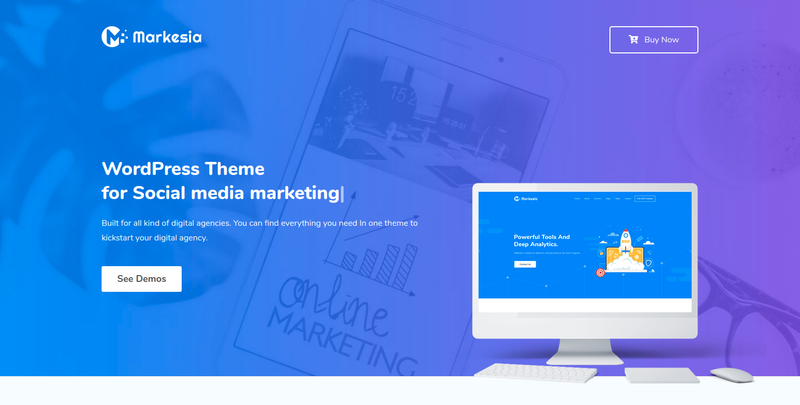 Gutenberg is flexible to create any type of website from blogging to any type visual editing websites like music, photography, etc. and also any agency kind of websites like eCommerce, worldwide business, etc. 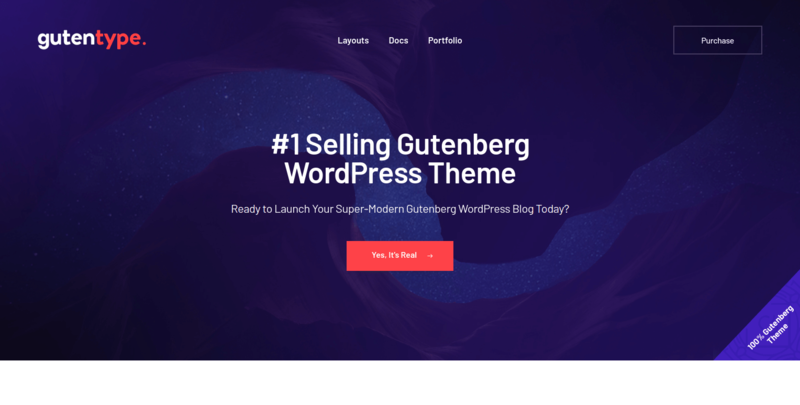 We worked over a number of Gutenberg compatible themes and combination of other supported plugins to find out what will be a best Gutenberg themes for beginners to expert developers. Gutentype is a clean & fresh WordPress Blog based on Gutenberg page builder. It is apt for guest post blog, rouge, niche blogs, giver, viral blogs, giveaways, guides & how-to blogs. Also, it fits homer, the tell-all, business, cryptocurrency, professional, reverse, writer & world news. Mae is an event, meetup and conference management template that built on top of a convenience and simplicity of blogging layouts. Mae allows you to drastically reduce the time and cost of development and enjoy what you do best to impress the world. Markesia is a fully functional SEO & Digital Marketing Theme with necessary features and Multi-Page Home with all necessary ready pages. You can make your site within a short time with the help of Markesia Theme. 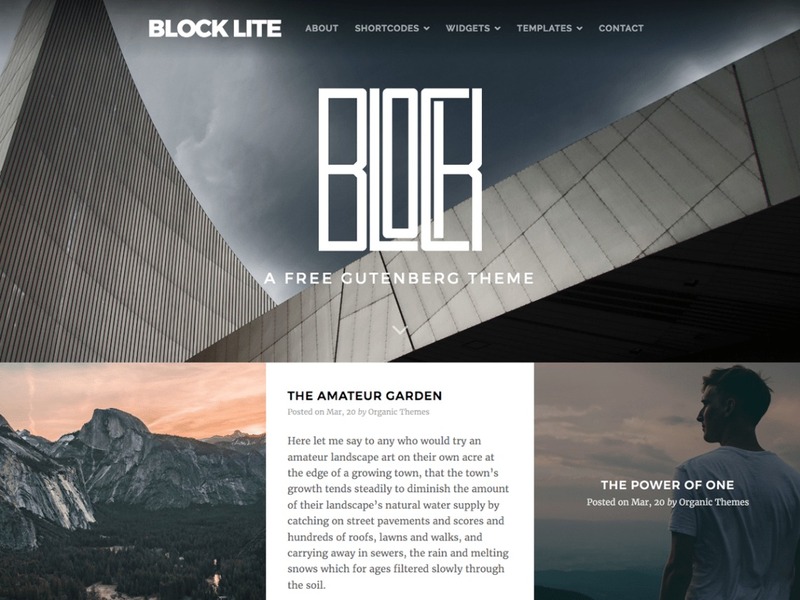 The Block Lite theme features a modern and responsive design with a block style layout for blog posts. It’s developed to work seamlessly with the Gutenberg editor and custom blocks. The theme options are located within the WordPress customizer for a simple setup process. 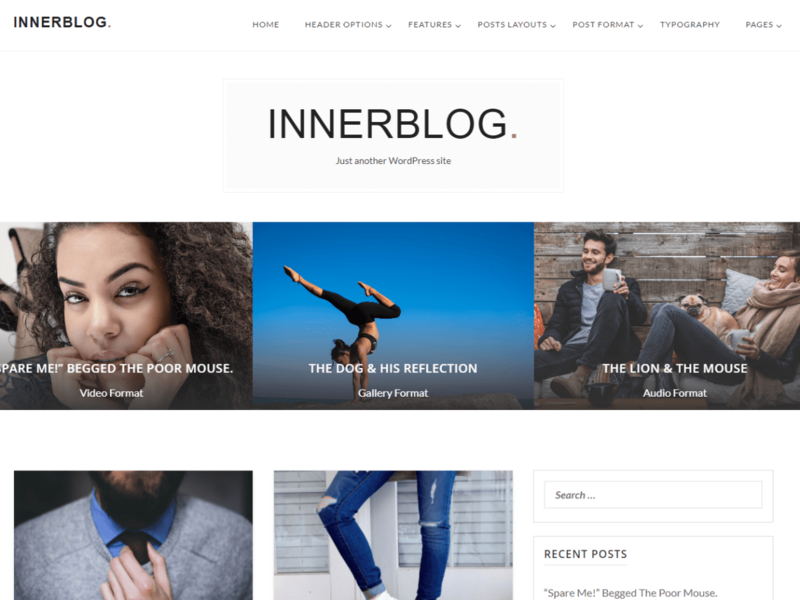 InnerBlog is amazing free WordPress Blog Theme for bloggers. 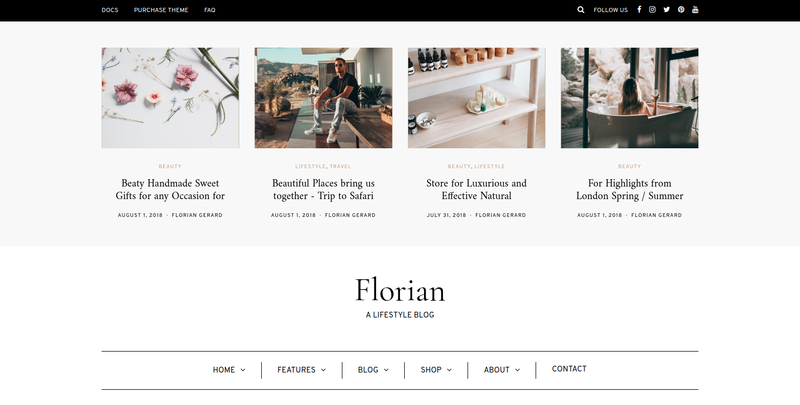 This Theme is perfect for those who blog about food, travel, fashion, lifestyle, photography, nature, news and magazine items. InnerBlog Theme is perfect on the go with no hustle in setting it up. 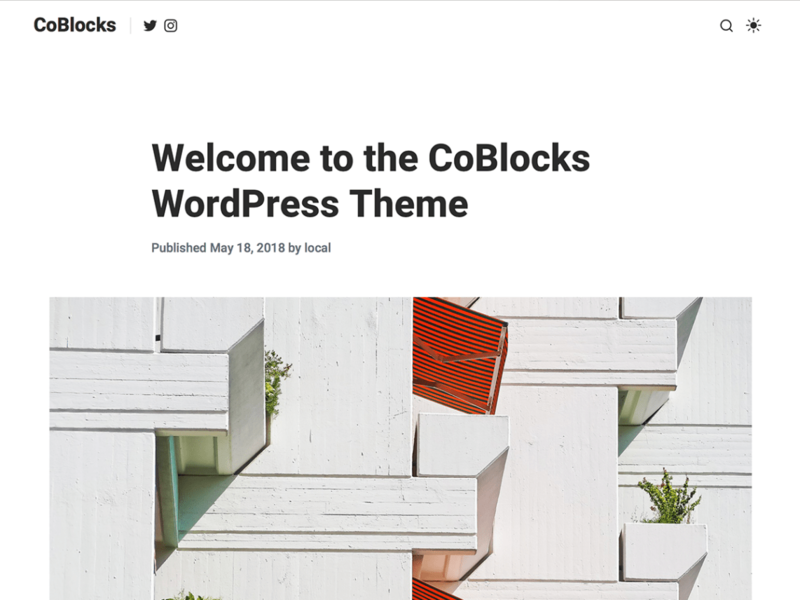 CoBlocks is a beautiful Gutenberg WordPress theme for writers, publishers and content marketers. 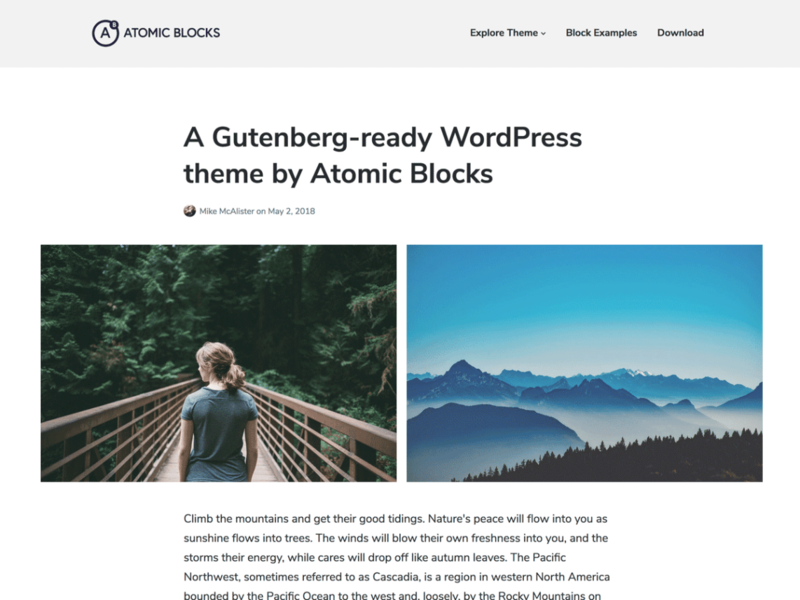 A beautifully-simple yet powerful WordPress theme that integrates perfectly with the new Gutenberg editor and the Atomic Blocks plugin. Start building amazing websites with the new WordPress editor today! Atomic Blocks comes with theme options to customize your font style, body and title font sizes, content width and more! 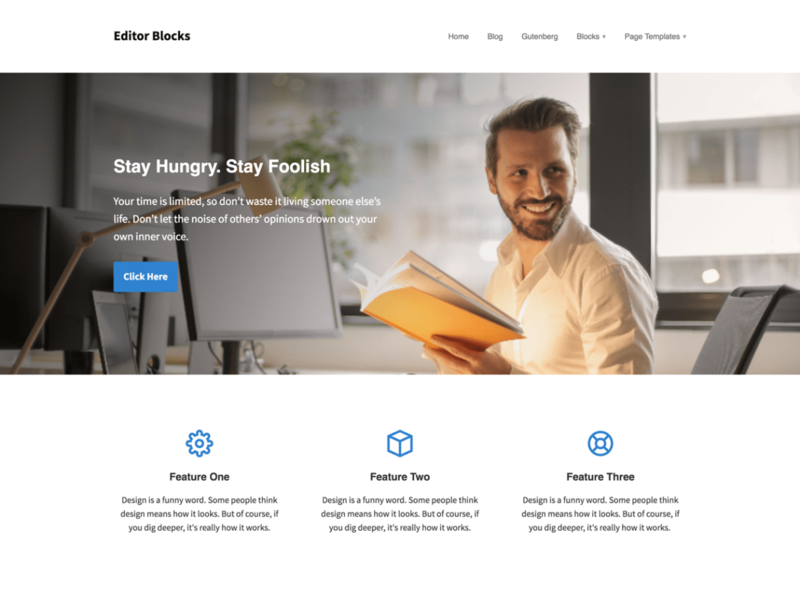 Editor Blocks is a minimal WordPress theme designed to work with the new Gutenberg editor. It’s fast, responsive and SEO-optimized. It features full width and no sidebar templates. Also, it works perfectly with other page builders such as Beaver Builder and Elementor. 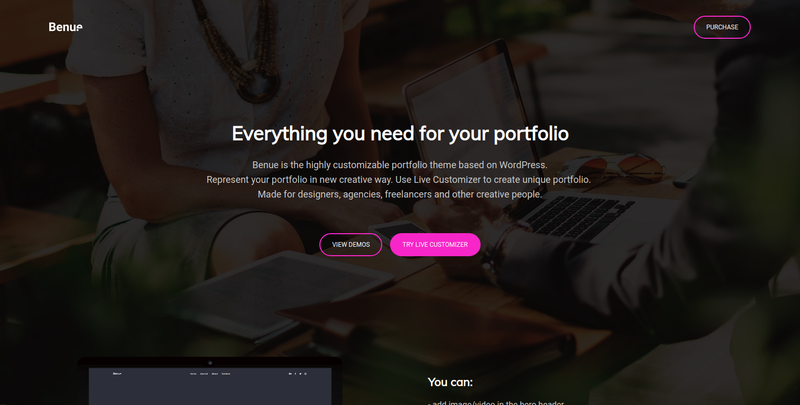 – Choose a best Gutenberg themes from the above collection to create your new website. What is an extra from our end? Blocks Kit is a bunch of additional Gutenberg blocks for freelancers (to provide all possible options). More Gutenberg blocks will avaialble with the Blocks Kit plugin ASAP! Looking for more assistance for Gutenberg? and if we missed any Gutenberg themes and plugins that should be within this list. Then, let us know in the comment section or via the Contact Us – page.